The latest issue of Nintendo Power includes another Q&A with Sonic Team head Takashi Iizuka. The magazine posed a question many fans would like to ask to his face: For a game called Sonic 4, why weren’t the hedgehog’s physics comparable to the original? In this title, we have not done a straight port of the gameplay [from the Genesis games], but rather updated it with actions which could not be done in the previous titles, like ceiling-running. These changes probably made for a different feel to the longtime Sonic fans. We’re happy for feedback like this, and we’ll make sure we can improve the quality even further in upcoming titles. It is challenging to make everyone happy, as we have young fans, new fans, older fans, jump-‘n’-run fans, retro fans, etc. We’re confident all of them do enjoy playing Sonic 4, though. But some fans are not happy with the first two thirds of that response, with belief it amounts to a we’ll look into it reply. The effects can already be seen in our current poll, which shifted from a majority yay to plurality nay opinion over the Thanksgiving holiday. 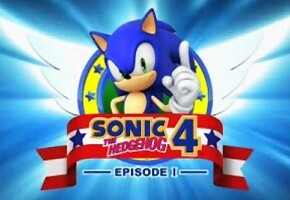 Has this changed your opinion on whether we’ll see substantive change in Sonic 4: Episode 2? Tell us in the comments section. Before you do that, however, we invite you to read the Iizuka Q&A, in full, via scans provided by AugieD, who sent them in a news tip. It includes a meaty portion of Sonic Colors related news and notes, including whether we’ll see a sequel. They’re in our gallery below, and we thank him for sending them to us. If you have news to share, be sure to share it with us by clicking News Tips at the top of every page.